Did you win the Schnooky Pie giveaway? I love giveaways. It’s just so great to be able to tell you all about something I like, and then for one of you to win. Cool things are great; winning those things for free is even better. Last week, I told you about the awesome onesie I got from Schnooky Pie. Not only is the onesie really unique and fun, Schnooky Pie itself is a rad local company with a commitment to quality clothing that you won’t find anywhere else. They have a bunch of cool clothes and are helping employ local workers to make the handmade items, so it’s a win all around. Speaking of winning, it’s time to announce the winner of the giveaway! Bur first, here’s your reminder of the prize. 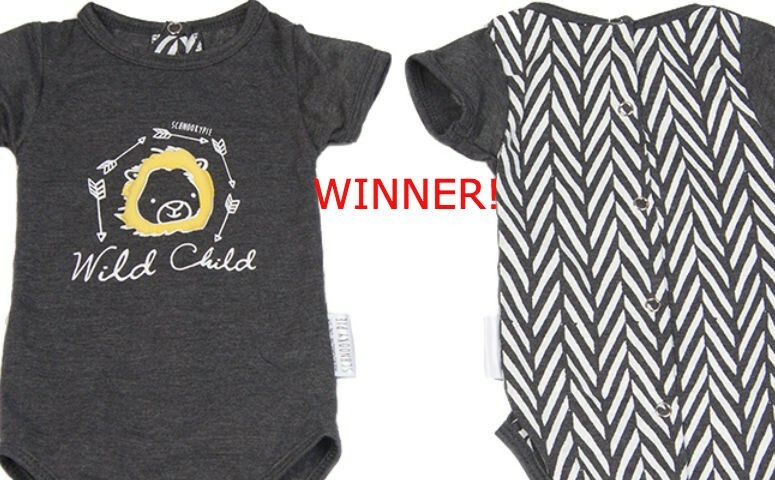 Our lucky winner is getting a Wild Child onesie. With a puffy mane on the front and buttons all down the back, it’s a unique item for your tiny person. I really do love those buttons – makes dressing my little one way easier, plus it looks so cool on the back when you’re holding them. The dark color is particularly lovely and sets it apart from so much of the usual clothing that babies wear, but it’s the design that’s a real conversation starter – be prepared for everyone to ask if your little one really is a wild child. Congratulations! I’ll be in touch soon to get your details and arrange delivery of your prize. Thanks so much to everyone who entered and keep your eyes peeled – I’ve got another rad giveaway coming up soon.